Upgrade from the discontinued PCI Card to the XBox Ultra SDI and latest version of WinPlus software. This special package is offered to customers able to return an existing Autoscript PCI card. The XBox Ultra SDI provides enhanced features and capabilities. Just plug it in via the USB 2.0 interface. The video output is standard composite PAL or NTSC and SDI. No operator training will be required because the updated version of WinPlus software included in the package has exactly the same interface as the version used for the PCI card. Compatible with Win XP, Vista,7, 8 and 10. USB 2.0 allows faster response time from controllers. Next & Previous story selection are instant with no lag, faster editing and on screen changes. 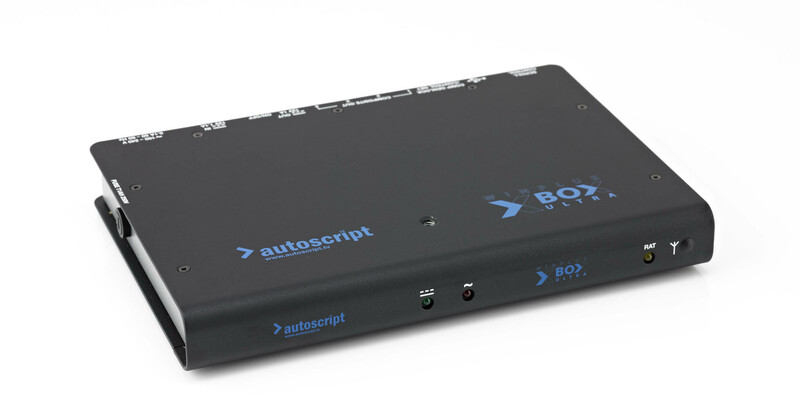 Dual Genlock inputs (Analog and SDI) can be used as additional ControlNet connection for any Autoscript controller (HC-1 Hand Control, MFC Magno Foot Control, WSC/WSC-A & WFC/WFC-A Wireless Hand and Foot Control). Therefore 2 x controllers can be used on a single XBox Ultra without the need for a Smart Combiner Box (SCB). [1 x controller into the Serial Port, and 1 into the Genlock (Analog or SDI)]. This input is self-seeking and allows the user to run 100-150 metres from the XBox Ultra to a control device or a Smart Combi (SCB). This is an essential upgrade for peace of mind, as the PCI card is now unsupported. Exchange of PCI Card for XBOXULTRA-SDI and latest WinPlus software. Return of PCI required. Software not included, XBOXULTRA-SDI will be registered with existing software from PCI card.